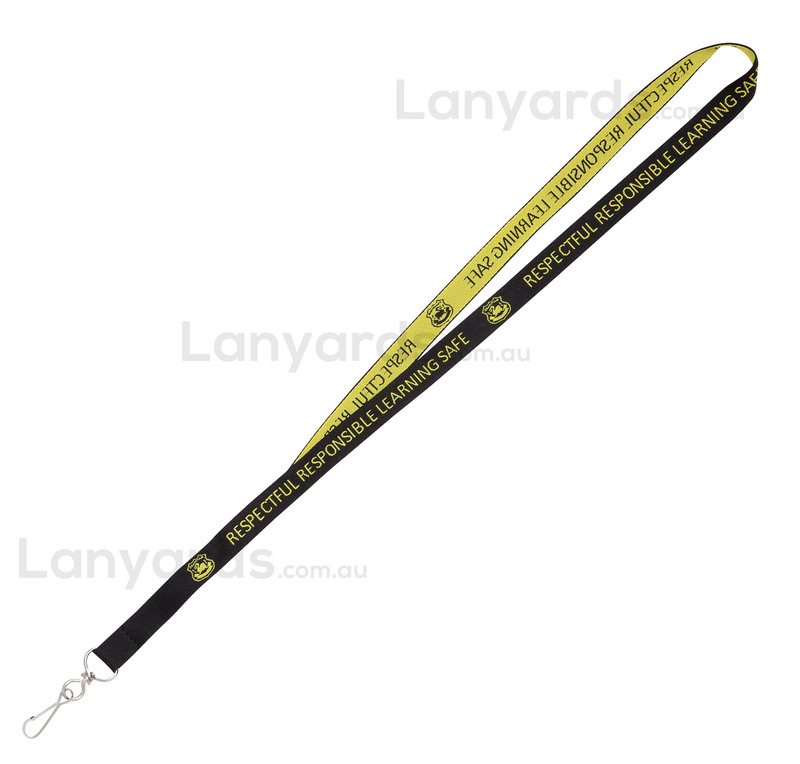 Simple woven lanyards in a 15mm width, these embroidered lanyards work best with simple logos and single colour weaves. Polyester fabric means If you are looking for a more corporate look to your custom lanyards, then these are a good option. A reverse out of the design appears on the back and as with all our lanyards you get a terriific choice of 6 different attachment options. These are very durable and perfect for high use areas. Note: Colours shown here are for demonstration purposes. Final colour may vary slightly from what is displayed. For orders of 1000 or more we can colour dye to a specific PMS colour. Accuracy of colour dye is plus or minus 15% to colour requested due to the manufacturing process. Note: Only one attachment free per order. View our additional lanyard attachments.